There’s nothing better than feeling confident in your own skin. Studies show that self-confidence helps you manage your fears, tackle life’s challenges with more certainty, and maintain a positive mental attitude. At Arizona Dermatology, we support this claim. We know that, many times, self-confidence is the key to success and is why we’re committed to supporting you in your journey to a happier, more confident lifestyle. We’re able to support you in this journey by offering state-of-the-art cosmetic services. Our cosmetic services can help you gain a more positive outlook on your body and your life. However, the challenging part of partaking in these procedures is knowing what service—if any—will give you the aesthetics and confidence you’re looking for. We see this as a common struggle the majority of our patients face. Many ask, “How do I know when to consider the option of cosmetic surgery?” and “How do I know which treatment is right for me?” Because we’re committed to the satisfaction of our patients, we’re here to clear up these concerns. We’ll start by going over the common reasons our patients consider cosmetic services. After, we’ll cover everything you should know about each treatment, including what to expect and how to know if it’s the right option for you. For a professional opinion catered directly to your unique situation, we recommend coming in for a consultation appointment with our top doctors. With years of practice in the cosmetic field, their experience and knowledge make them the best person to contact when deciding whether to go through with cosmetic surgery. However, for general tips on this topic, follow the guidelines listed below. When you come in for a consultation appointment, our doctors will first establish whether you should consider cosmetic surgery. If you both decide that cosmetic surgery is right for you, the next step is to determine what treatment works best for your unique situation. Read on to learn more about each of our cosmetic services, including what to expect and whether the service is beneficial for you. Eyelid surgery, medically known as blepharoplasty, helps improve the appearance of your upper and lower eyelids. This treatment is a permanent solution for repairing drooping eyelids and improving a naturally tired appearance. What should I expect with eyelid surgery? After your eyelid surgery, you may experience minor discomfort, swelling, and bruising. On average, these symptoms last for two weeks. However, depending on how your body heals, the reduction in swelling and bruising may vary. After the recovery period is over, you should expect to look more youthful and alert. How do I know if this is the right treatment for me? Eyelid surgery may be the right treatment for you if you’re self-conscience about your sagging eyelids or restless appearance, and are looking for a permanent fix. Laser resurfacing is a state-of-the-art cosmetic treatment. This treatment smooths out your skin’s surface, erases fine lines and wrinkles, tightens eyelid skin, and removes brown spots; helping you to look and feel younger. Laser resurfacing uses a wand-like laser hand piece to deliver carbon-dioxide lasers or erbium lasers to your skin. The procedure is non-invasive and offers control in the depth of penetration of your skin’s surface. This allows for an increased degree of precision and safety on delicate areas. Laser resurfacing typically takes around an hour to do. Some anesthesia is required prior to your treatment so that you remain comfortable. After your laser resurfacing treatment, you should expect to experience some redness, swelling, and discomfort that may last between three and 10 days. Is laser resurfacing right for me? Laser resurfacing may be the right service for you if you’re looking for a non-invasive method to reduce wrinkles, acne scars, signs of aging, or sun damage. When performed by the medical professionals at Arizona Dermatology, Botox is highly effective in reducing wrinkles caused by excessive muscle movement. The injectable targets the horizontal lines caused by excessive eyebrow raising or crow’s feet caused by constant squinting or smiling. Overall, this treatment works to improve the noticeable lines on your face that can make you look older, sad, tired, or angry. What should I expect from Botox? Botox is a minimally invasive service that takes about 10 minutes to complete. During your treatment, there’ll be multiple injections to your site of concern. However, the injections are done with very thin needles, which produces minimal pain. After your Botox injection, you can expect some minor swelling and bruising at the injection site. These symptoms usually become obsolete in as little as one week. Botox is right for you if you’re experiencing fine lines or wrinkles on your face. The injections erase signs of aging for a more evenly textured, youthful finish. Similar to Botox, facial fillers are injectables that give you a more youthful appearance. However, while Botox works to relax your muscles, facial fillers help raise your muscles to smooth skin, plump cheek bones, reduce facial lines, and enhance shallow contours. With each facial filler, you should plan on minor redness, bruising, or swelling after the procedure is complete. Juvederm is an injectable gel that gently reverses the many signs of aging. With Juvederm, you can expect a quick in-office treatment with minimal downtime after the procedure is complete. The results of this filler typically last 6-9 months. Voluma is another form of facial filler. This filler uses hyaluronic acid to lift and add volume to your facial features that have sunken in or sagged with age. With Voluma, desired results can last for up to two years. 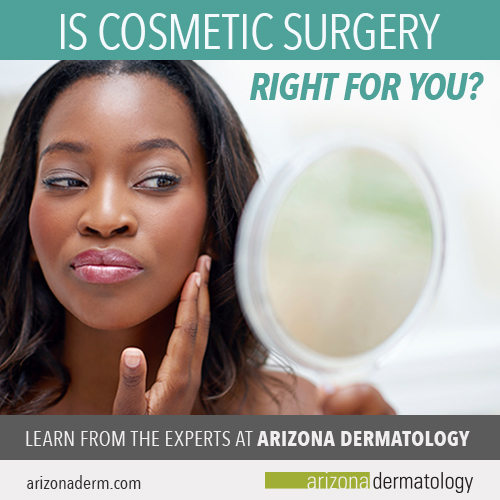 Sculptra is the final type of filler offered at Arizona Dermatology. With this filler, you should expect increased skin thickness, improved appearance of folds and sunken areas, and an overall more youthful look. These results can last for up to two years. Are facial fillers right for me? A facial filler may be the right service for you if you’re looking to gently reverse the signs of aging with a non-invasive injectable. PRP, or plasma rich protein, is a substance derived from your own blood. To obtain PRP, our physicians first draw your blood before inserting it into a special container called a centrifuge. Once in the centrifuge for approximately 15 minutes, blood components will separate, leaving plasma rich protein available for injection. PRP facial rejuvenation uses your blood platelets to treat wrinkles and scars of the facial region. This service is also used in conjunction with facial fillers to enhance facial fullness. PRP injections use the platelets that were separated out by the centrifuge to improve your skin’s texture and tone, as well as treat wrinkles and scarring. With this treatment, you should expect some minor discomfort and swelling immediately after. The results of this treatment typically appear in as little as three weeks. Fat transfers with PRP are typically used in conjunction to facial fillers. The procedure works by collecting fat from your own body to reinject into the lips, chin, cheeks, or depressed scars for incredible volume. The addition of PRP to facial fillers allows for a more accurate survival and retention rate of your filler. Is PRP facial rejuvenation right for me? PRP facial rejuvenation may be the right treatment for you if you’re looking for a way to correct your signs of aging with minimal to no recovery time. Alopecia is a condition that causes hair loss and can affect your quality of life. Fortunately, our hair restoration procedures use revolutionary techniques to restore both your hairline and your self-confidence. What should I expect from a hair restoration treatment? During hair laser therapy, your scalp will be targeted with low-level lasers or light-emitting diodes (LED). These lasers work to alter the cellular function of your hair follicles. You should expect a pain-free treatment with little side effects to follow. Hair transplantation is the only hair restoration process in which we guarantee hair growth. During your procedure, healthy hairs are trimmed, donor tissues are removed, and extracted hair tissues are implanted. After the procedure, you may experience some soreness, tightness, scabbing, and possible numbness within the first three weeks after operation. For your hair to grow, your hair follicles and hair roots must be healthy. In order for your hair follicles and hair roots to remain in good health, they must receive blood supply as their main form of nutrition. PRP therapy works off this concept. During your procedure, our doctors will inject your scalp with platelets derived from your own blood. Since plasma rich protein (PRP) therapy uses your own blood, the treatment is completely natural and safe. You should anticipate some minor tenderness and swelling, but expect to be back to your daily activities the next day. A hair restoration treatment may be right for you if you feel self-conscious of your thinning or balding scalp. For more information on our cosmetic services, schedule a consultation appointment with our top doctors or call our direct cosmetic services line at 480-818-3314. 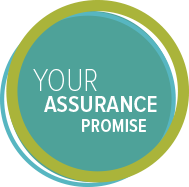 We’ll help you determine which treatment fits your needs and assist you with any questions you may have along the way.